PS! develops, co-creates and facilitates sustainable and scalable results that promote patient safety. We build culture, capacity and capability to change and improve outcomes. Our projects involve improving the quality of care through the ‘Model for improvement’. We strive to develop and build a quality improvement and patient safety focused culture and build long-term sustainability and capability to support the improvements. PS! works to improve patient safety across Danish healthcare. Citizens and patients should experience a safe, effective and coherent healthcare – every person, every time. Accelerate improvement of patient safety in a coherent healthcare system. In person-centered care users of health and social services are seen as equal partners in planning, developing and monitoring care to make sure it meets their needs. Person-centered care is about approaching patient, family and citizen with dignity and respect. It has become a vital part of patient safety work and preference errors are now recognized as adverse events. Patient preferences are an element in all of PS!’ projects, where focus is to reduce harm and error in the patient’s encounter with healthcare. Patients and their family are the only ones who experience an entire course of treatment, and they possess a unique knowledge which is an important source of information to ensure a high quality. Further reading: What is person-centered care? Two of our initiatives with person-centeredness at the core are Hello Healthcare and Safer Mental Health. Hello Healthcare aims to increase patient safety by promoting patients’ and families’ influence on their treatment. Initiatives include advocating open visiting hours, a social media presence, healthcare ambassadors, Thanks for asking, What matters to you? and much more. The Safer Mental Health Program holds other examples of person-centeredness. Patients and families have played a central part in shaping this quality improvement project, as they have been equal team members in the improvement teams where, among other things, they have taken part in developing the Suicide Prevention Bundle. Danish healthcare services should be connected and work in a way, which is logical and practical for its users. Through our particular construction with stakeholders throughout healthcare sevices and through our work in and across different sectors of Danish healthcare, PS! has a unique possibility to work with patient safety and cohesion in transitions. We work to create visionary and sustainable solutions for problems in transitions across departments, sectors and disciplines in healthcare. As well as across the systems citizens and patients experience in their everyday lives. One of the central themes for our continuing work with patient safety in transitions is within medication. The Danish Safe Flow Collaborative aimed to create safe and cohesive patient treatment without unnecessary waiting time using huddles in all departments and a joint bed-meeting at hospital level. 12 acute care hospitals from the five regions participated in the Danish Safe Patient Flow Collaborative from 2014-2015, which is now being spread to all acute care hospitals in Denmark. Among the results are a reduction of patients’ length of stay – without readmissions, and fewer patients placed in corridors. Additionally, the hospital as a whole has experienced better cooperation across departments. 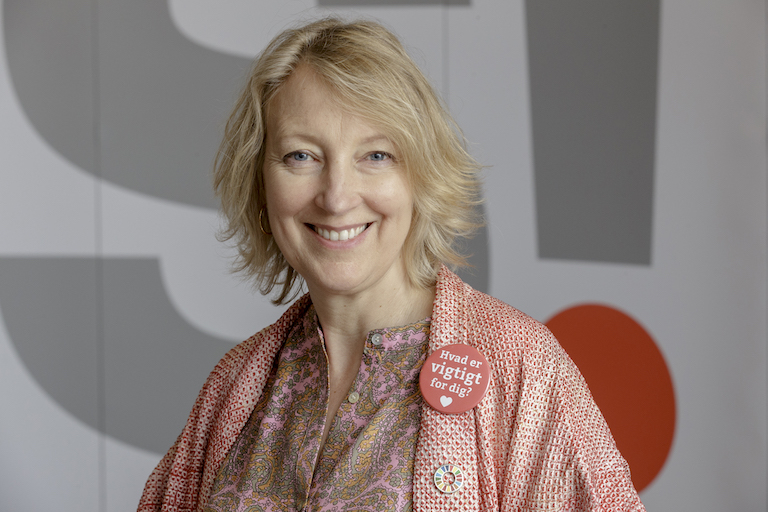 A newer initiative is an effort between Municipality of Copenhagen, Bispebjerg-Frederiksberg Hospital and PS! to create safe and coherent transitions between healthcare sectors. Using methods from the Safe Flow Collaborative such as joint bed-meetings in a cross-sectorial context. We support and assist the work with reliable and effective work flow in healthcare. Our focus is to develop and expand the use of safe work flows with the aim to reduce waist, variation and waiting time as well as to increase safety and cohesion. These methods are relevant to work with transitions and medicine, as well as to ensure the ability to create consistent and high quality throughout healthcare. 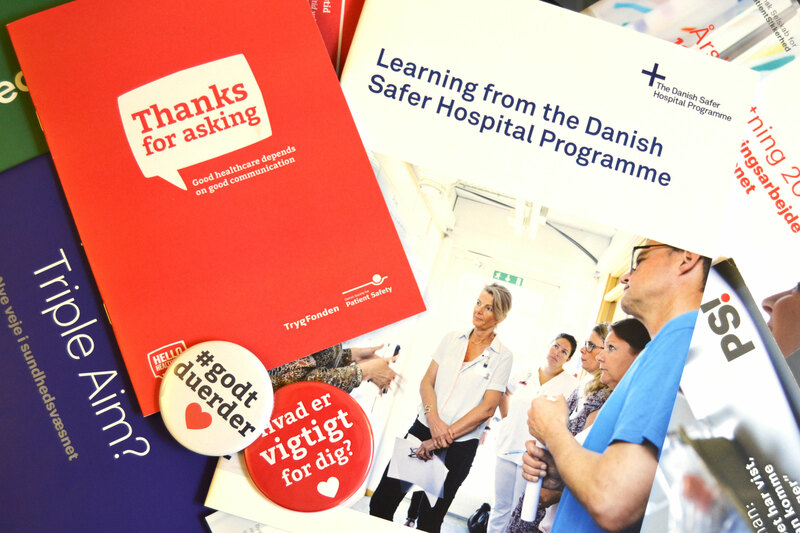 A few examples are: The Danish Safer Hospital Programme and the Pressure ulcer bundle. The Danish Safer Hospital Programme ran from 2010 – 2013, it implemented systematic workflow to ensure reliability and patient safety. To prevent unexpected cardiac arrest among in-patients, the participating hospitals in the Danish Safer Hospital Programme introduced a systematic monitoring of patients’ vital signs. This means that deterioration can be diagnosed and treatment can be given before cardiac arrest occurs. Developed from evidence based knowledge and used systematically in both the Danish Safer Hospital Programme and In Safe Hands is a bundle for eliminating pressure ulcers. Among other things the bundle includes a checklist of actions to take to avoid ulcers. Actions regarding assessing patients’ skin, correct use of aids, mobilization and diet. However, the content of the bundle is not what has been groundbreaking. Rather, it is the systematic use of improvement methods, such as real time data and systematic testing of workflow, which has made a real difference in assuring reliable and safe workflow. 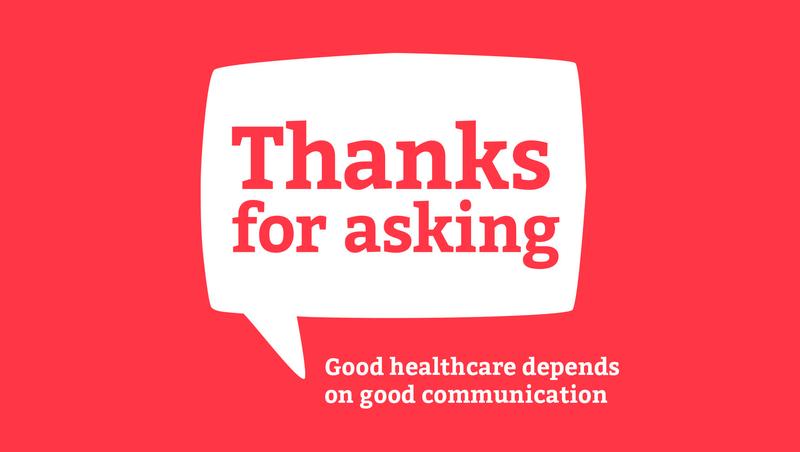 A vital part of the PS!’ work is to spread awareness and understanding of patient safety perspectives and problems. Expert knowledge, understanding of methods as well as data which can promote action must be spread. This includes our efforts to set agendas on central topics, such as overtreatment, priority in medicine and so on. Capacity building: E-learning, Improvement Agent programs, mid-level manager improvement training, and other versions of training and spreading methods in Improvement Science. Some of our capacity building programs are created with Danish and international partners. Inspired by our partner, Institute for Healthcare Improvement, PS! 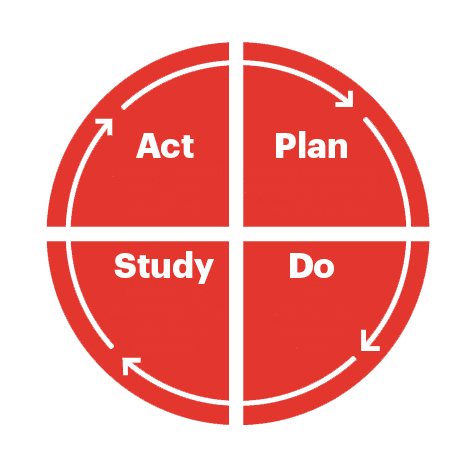 has pioneered Improvement Science in Denmark. Since 2007 PS! has worked on a number of major improvement programs in Danish healthcare. These programs – by supporting and helping clinicians change the way they do their work – have demonstrated how better results can be created for patients. At the same time, joy at work has been improved among hospital staff. 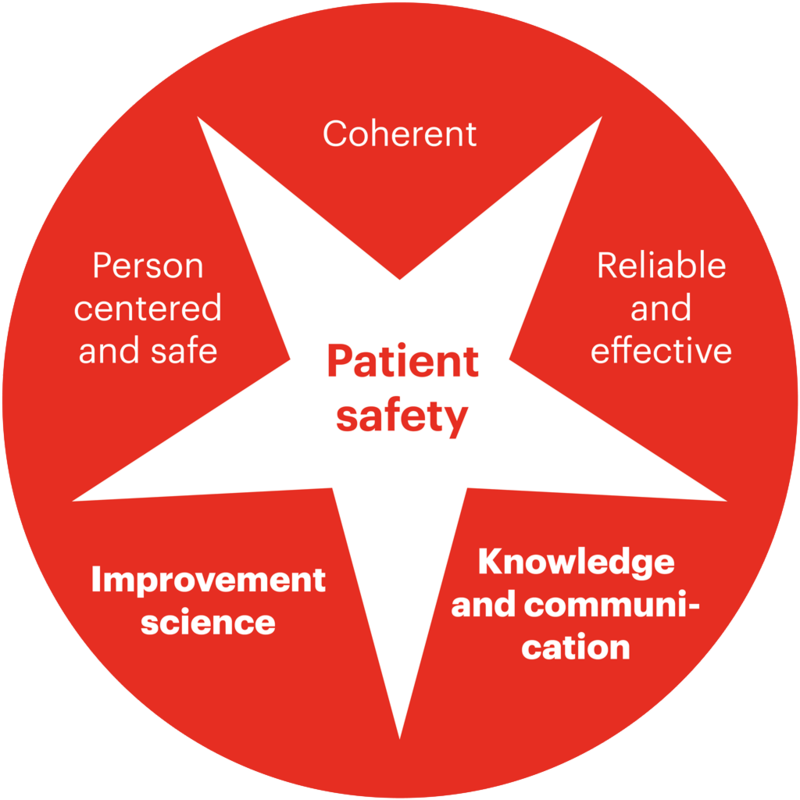 In a Danish context, we strive to be a nationally and internationally recognized center for improvement of quality and patient safety. We work with – among other methods – the Model for Improvement which was developed by the Institute for Healthcare Improvement. In Safe Hands is the name of PS!’ safer primary care program. Like our other large-scale programs, In Safe Hands has proven, that it can be highly successful to utilize methods from Improvement Science in a Danish setting. Specifically, by improving patient safety in five municipalities in 2013-2016, and afterwards spreading the work to another 13 municipalities. Ultimately, the hope is to implement the methods used in In Safe Hands throughout all 98 municipalities in Denmark. Pressure ulcers can be eliminated! It was previously believed that pressure ulcers where an unavoidable side effect. Through this program, healthcare staff have proven that when using the right methods pressure ulcers can be completely eliminated. Serious medication errors can be prevented. With safe systems and workflow, serious medicine errors can be completely avoided. One of several initiatives has been having patients administer their own medication. A reduction in falls among the elderly receiving care.